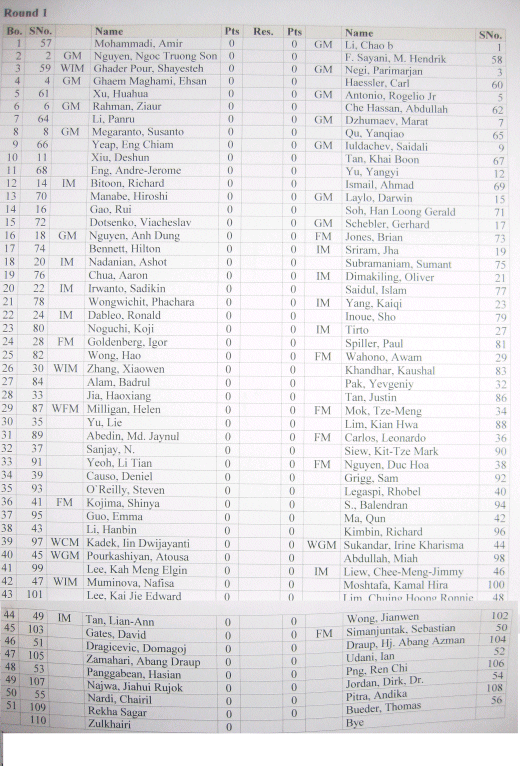 Last round ended with top 4 board finished with a draw and gave the podium to a Pinoy players. Tan Khai Boon from Penang is the champion, 1/2 point ahead of 4 other player(Ian Udani,Loo Swee Leong, Kamaluddin and Anthony). MARILAH SAMA-SAMA KITA SERTAI PERTANDINGAN CATUR TERBUKA KEDAH SIRI KE-3 YANG AKAN DIADAKAN PADA HARI SABTU INI. KESELURUHAN HADIAH YANG DITAWARKAN DALAM BENTUK WANG TUNAI SEBANYAK RM 1610.00. 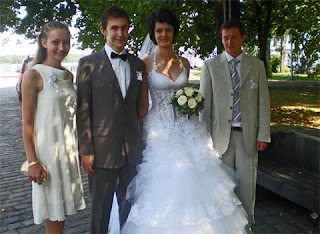 I read an article in chessbase that GM Sergey Karjakin (2717) get married with WIM Kateryna Dolzhikova (2272). 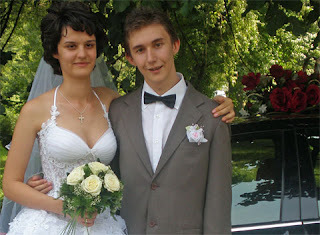 His age only 19 while his wife is 20. 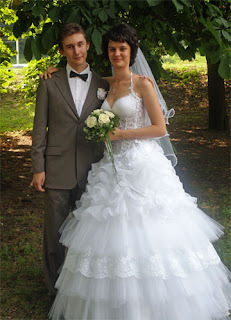 This lovely couple tied the proverbial knot on July 24th 2009 at the Central Registry in Kiev and followed by a ceremony at the St. George Church in Kiev. What is famous about Sergey Karjakin is he hold the youngers GM tiltle is history at the age of 12 years, 7 months, 0 days when he get his final GM norm in 2002. 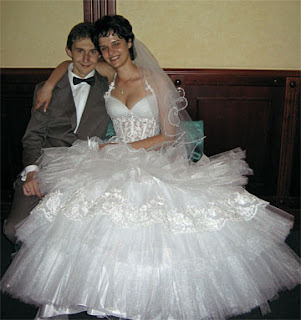 Below is some nice picture of this couple taken from chessbase. Detail akan diupload esok petang selepas diconfirm tempat dan senarai hadiah. Pohon war-warkan kepada semua peminat dan kerjasama rakan blogger amatlah diharapkan bagi menjayakan aktiviti ini. Terima kasih. 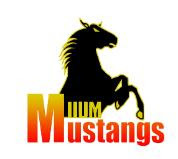 Harap Cikgu Fuad dapat memberi details pertandingan tersebut secepat mungkin.